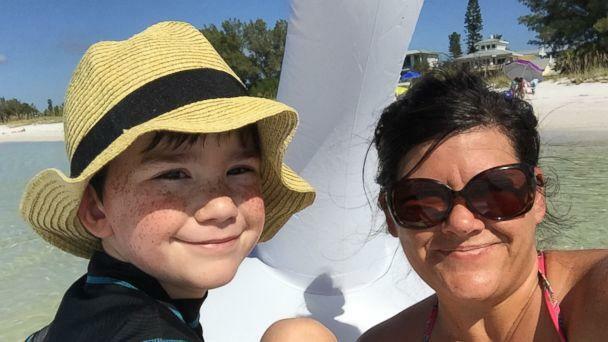 After things went south for a Florida mom and her son who got carried out to sea on a giant inflatable swan, the pair praised the beachgoers who came to their rescue. Frantic 911 calls poured in after Tara Myers and her son Brennan drifted miles out to the open ocean on a swan float. "There is a woman on an inflatable swan. Her and a child and they have drifted really, really far out into the water," one caller told dispatchers. Another caller said, "The dolphins are closer to the shore then they are." 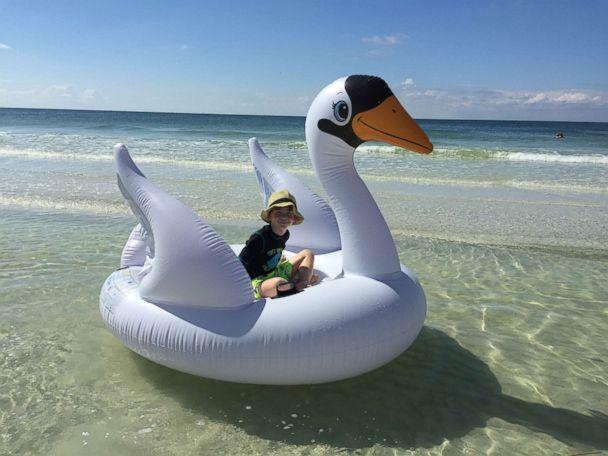 Myers took her 7-year-old son to Anna Maria Island with a new giant swan float on Oct. 21 but "didn't plan" for the strong currents that swept them out to sea. "Rip currents are real, we didn't plan for this," she told ABC News. "It was almost immediate that we were going out much quicker and much deeper than I had thought." Her son thought they were "goners." "I started to freak out like maybe we will never make it back...we're goners," he said. "He had tears in his eyes and I was like, 'Brennan it's going to be OK, we're going to be OK,'" she recalled. After nearly 30 minutes stranded on the water, the two saw flashing lights from a West Manatee Fire Rescue boat coming to get them. "They were happy to see us. The mother got emotional. They had tears of joy," the boat captain Ryan Moore told ABC News. "They had no injuries and we got them onto the boat with no problems." Myers hailed the beachgoers who called 911 and the West Manatee rescue team for their safe return to shore. "We'll never be able to repay those people for that because I don't know what would've happened if they didn't come," she said.